Warm Line and speak to me directly between the hours of 7pm-8pm every evening. Postpartum visit 1-2 weeks after delivery. Additional postpartum packages available. Renee is Certified Lactation Counselor (CLC) who completed The Lactation Counselor Training Course through The Center For Breastfeeding the major focus of The Healthy Children Project, Inc. and passed their certification examination. A CLC is a health care professional that provides evidence-based information and non-judgmental support to breastfeeding women who are having difficulty with some aspect of breastfeeding. We provide prenatal counseling appointments as well as postpartum and we provide in home consultations so we can see how you and your baby breastfeed together and can provide recommendations for correcting or improving latch, positioning ,and provide information on supplementation and weaning. Every lactation counseling appointment includes regular follows ups via phone/text/e-mail to make sure that the plan put in place is working for you. If tweaks are needed, adjustments will be made. If an additional clinical or other evaluation is deemed necessary, you will be provided with referrals to appropriate medical experts. 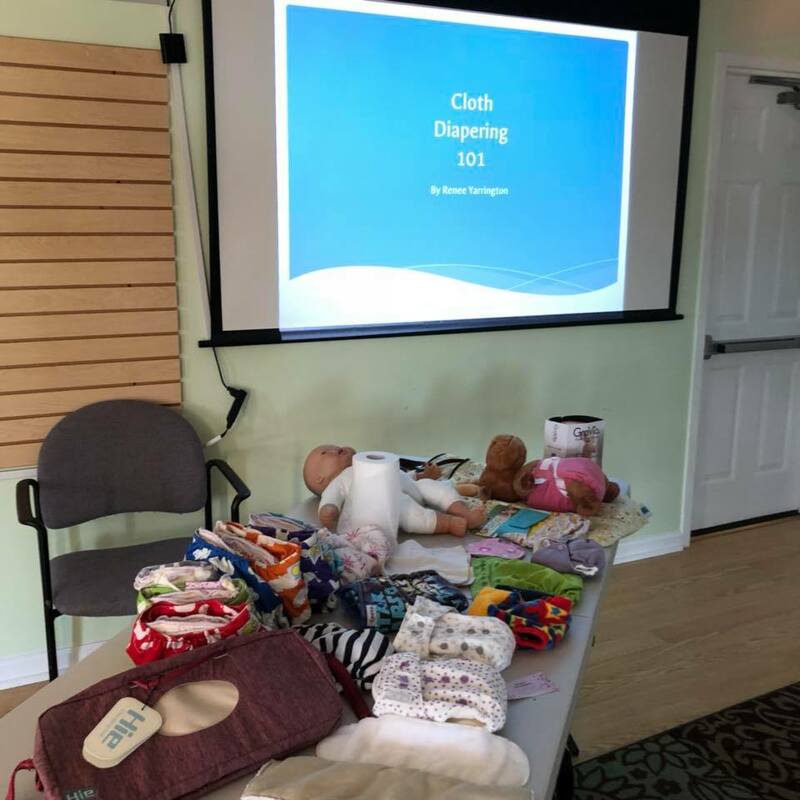 A one-hour informational session to learn more about how to use cloth diapers and to learn more about diaper services. Learn about the different types of cloth diapers available today, and the pros and cons of each. Touch and try different types of diapers. Check out our calendar for event dates and times! Free for all parents. Ideal for parents from pregnancy through age 1. Check out our calendar for event dates and times! Learn the ins and outs of pregnancy and childbirth in and out of the hospital. Learn your options! Check out our calendar for upcoming event dates and times! Focus on relaxation and breathing techniques, massage and counter pressure, vocalization and more for coping with labor. Check out our calendar for upcoming event dates and times! Induction methods, C-sections, natural childbirth, breastfeeding, epidurals and more!